We have talked about safety precautions for towing and how to extract the maximum performance from your automobile while driving with a trailer attached. In this blog, we would like to address the small things that can make a big difference. Upshift when climbing hills. Shifting into a higher gear helps add some extra power when facing an upgrade. Keep an eye on your temperature gauges. Pulling heavy trailers and climbing hills can push your engine and transmission to its limits. If you notice your transmission or engine heating up, pull over for a bit and give them a break. If you tow frequently, consider adding a transmission cooler to your vehicle for better performance with less overheating. Downshift on downgrades. When you’re coming down a hill, drop your vehicle into a lower gear and take it slow. Shifting into a lower gear helps slow down your vehicle without relying solely on your brakes. Go easy on your brakes. Downshifting helps you slow down on declines, but if you need to apply the brakes, tap your brake pedal in firm, brief presses. Pause between taps to let your brake parts cool. Your heavy towing rig puts a huge demand on your brakes. If you plan ahead, downgrade, and use your brakes lightly, they’ll perform better and last longer. Hold the steering wheel at the 6 o’clock position. The rear of the trailer will swing in the direction you move your hand. Make small steering adjustments. Your trailer greatly exaggerates the changes you make with the steering wheel, so make short and frequent wheel turns. If possible, have another person outside of the vehicle for guidance. A Backup Camera could also come in handy. Always walk a lap around your towing rig and make sure there aren’t any obstacles behind you. Unless you have a backup camera installed on your trailer, you will have a severely limited rear view. A mention needs to be made about having the right equipment for towing. The right towing accessory will evenly distribute the weight of the trailer over the two bar. 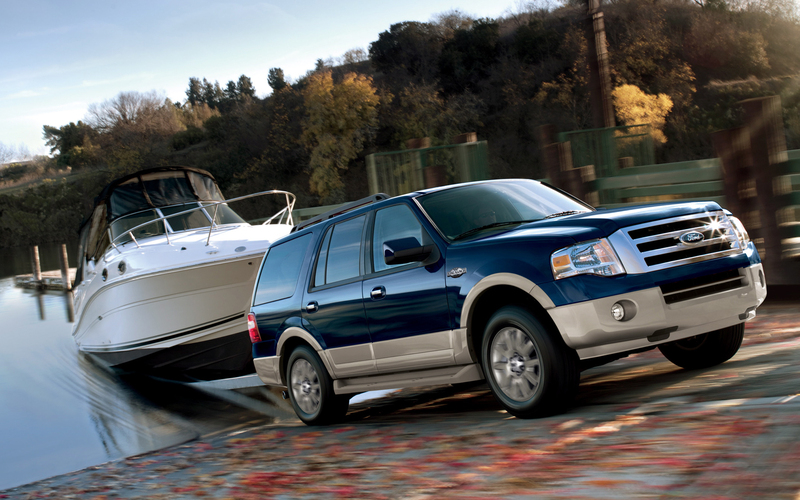 This will reduce stress on the engine and other mechanical parts, ensuring a smooth towing experience. Towing accessories that are not a good match for the model of the vehicle could lead to the trailer tipping over, increasing the risk of accident.